This week I am posting my weekly entry a bit early because of the Thanksgiving holiday. 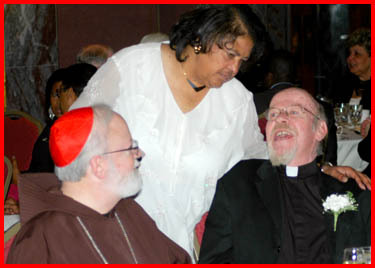 On Friday evening, we had a St. Andrew’s Dinner at St. John’s Seminary in Brighton. Young men from several parishes came for the holy hour and the vespers with the seminarians. Afterward, we had dinner with them, and three seminarians gave witness talks about their vocations. 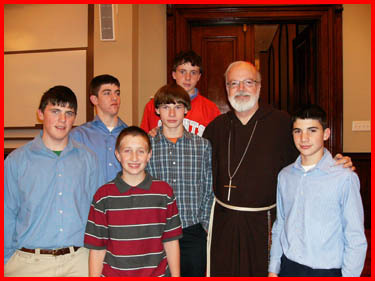 Then, I addressed the young men, talked about vocations and answered some of their questions. 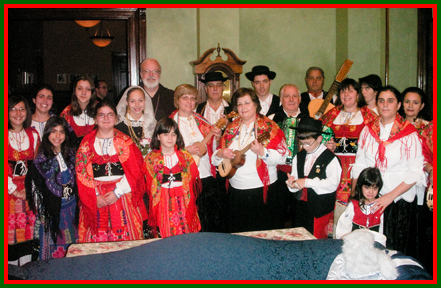 As we were leaving the seminary, we ran into a Portuguese group, a rancho foclorico, from St. Anthony Parish in Cambridge. They were at the seminary for an ethnic party, and all the young children were dressed up in their costumes and had castanets. They sang a couple of songs for us, which was very enjoyable. 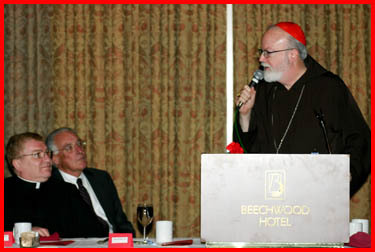 Unfortunately, I was unable to attend the Youth Ministry Awards, held at Lombardo’s in Randolph Nov. 16, but I understand it was a great success. 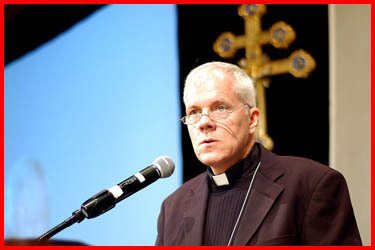 Father Chris O’Connor, vice-rector of St. John’s, spoke about Gospel Road, a summer service program for youth. 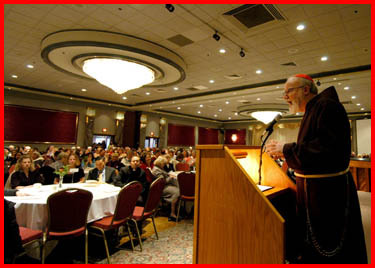 Father Richard Erikson, vicar general and moderator of the curia, gave the keynote address about the difficulty of living morally and the importance of setting an example for others. 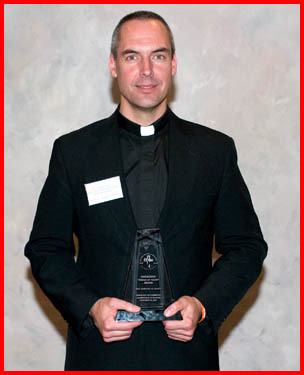 Those who have excelled in youth ministry, young adult ministry and CYO Sports were honored for their service. 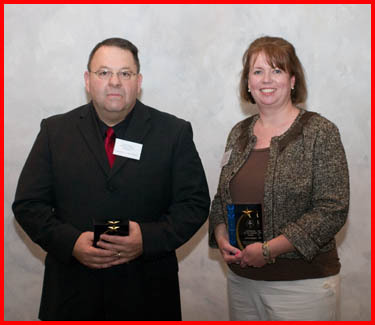 Sixty-five people, including many youth, were honored in a dozen categories. It is very encouraging that so many young people are giving their talents for the service of God’s people. As I mentioned last week, at our last bishop’s conference, we put out a document on stewardship, “Stewardship and Teenagers: The Challenge of Being a Disciple”, that calls young people to discipleship. They are asked to engage their talents to serve God and His people. “Stewardship is about acting for others. Discipleship is about doing for others and not counting the cost. Even the smallest act of kindness can bring joy and relief to another. You are in a unique position to reach out to your peers and share with them the unconditional love of God. Seize every opportunity to show them God’s love through your random acts of kindness: an encouraging word, a pat on the back, a helpful hand. – Share Your Talents — No one else can do exactly what you do. Whether singing, cooking, drawing, or playing sports, your talents are for share with others. When used generously, the good they provide is immeasurable! Seek opportunities to participate in your parish or faith community as a greeter, altar servers, lector, extraordinary minister of Holy Communion, or assistant in the religious education program. – Share Your Treasure — The cost of a movie ticket or a pizza can help to prevent a childhood disease or build a house for someone with nowhere to live. Part of your allowance or paycheck can help your parish provide more services for its community. Decide to give a certain percentage of money at your parish each week. As you live with this decision, you will grow into a lifelong habit of generosity. – Share Your Tradition — Embrace the rites and sacraments of the Church as beautiful gifts of God, to be appreciated, loved, and shared. Invite a friend to come to Mass or Divine Liturgy with you. Pray for others, both people in your life and those in need throughout the world. Consider what plans God has for you. Whatever his call, it will require the ultimate gift of yourself — through marriage and family, or through priesthood or consecrated life. 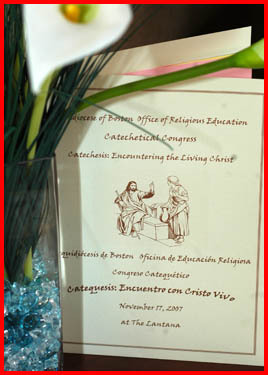 The following day, I attended two events at the Lantana in Randolph: the Archdiocesan Catechetical Congress and Black Catholic Awards Night. 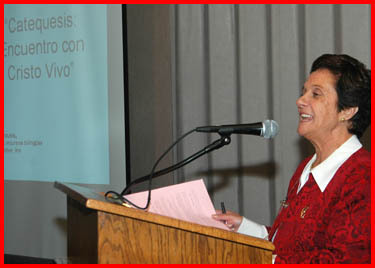 About 700 catechists, half of them Hispanic, gathered at the Catechetical Congress. It is always very inspiring to be with these catechists who take their faith so seriously and have this very special mission of passing on the faith to new generations of disciples. It was a grand event to see them come together. They are truly modern apostles. I was very happy to be able to address the catechists in the morning prayer service. The two readings that they chose were very appropriate. One was the conversion of St. Paul on the Road to Damascus, his encounter with the risen Christ, and the Gospel was Peter’s encounter with the risen Christ where the Lord asks him three times, “Do you love Me?” In my reflection, I tried to show the connection between love of Christ and love of the Church. During St. Paul’s conversion, the risen Lord said, “Why are you persecuting Me?” because to persecute the Church is to persecute Christ. Christ tells Peter, “If you love Me, you will love my people and feed my people.” This, too, communicates that loving Christ means loving His Church. Christ describes Himself as the Church’s Bridegroom, not the widower. He does not exist separately from His people. I am always very grateful for Sister Clare Bertero, Pilar Latorre, Susan Kay and Susan Abbott for all of the hard work they do — daily and especially in planning this event. 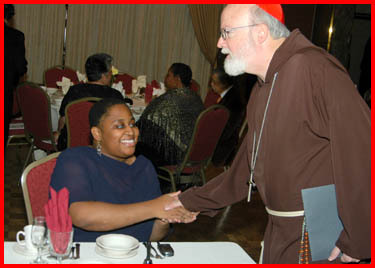 Just as we began the day at the Lantana, we ended it there with the Black Catholic Awards Night. 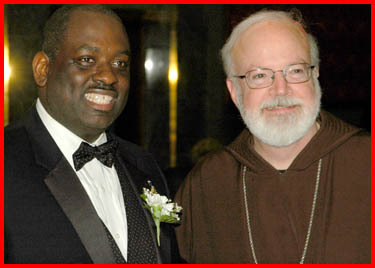 They honored Pierre Monette, an active member at St. Katharine Drexel Parish in Dorchester and member of the Black Catholic Choir, with the Healy award, named for Bishop James Augustine Healy. 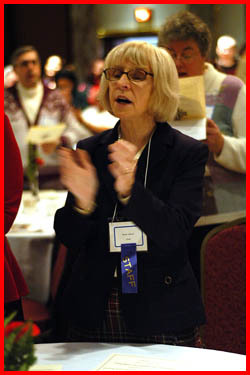 Monette is as lector, choir member and finance committee member at his parish. 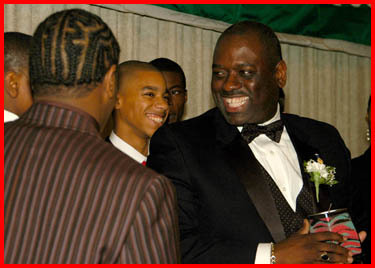 Father Walter Waldron, pastor of St. Patrick Parish in Roxbury, was awarded the Robert Leo Ruffin Award. 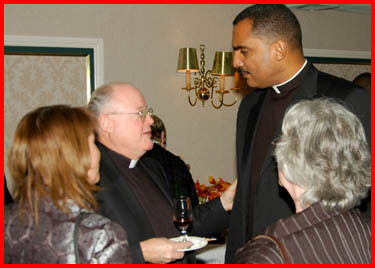 Father Waldron does a wonderful job serving the Cape Verdean community in his parish. He also co-founded the Pine Street Inn and helped start the South End Community Health Center. 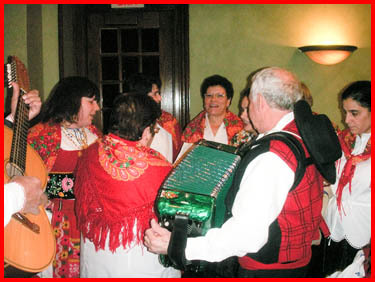 The dinner was a great success this year, and the whole evening was very upbeat and joy-filled. I believe in my years of coming to the dinner, it is the most people I have ever seen there. 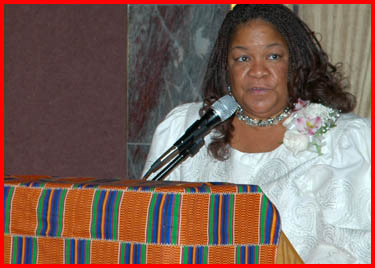 The attendance was wonderful, and the Black Catholic Choir, under the direction of Myer Chambers, did a fantastic job. The keynote speaker was a woman from Texas, Lari Newman-Williams. She gave a lovely talk on ministry and sang a couple of songs. I am very grateful to our coordinator of Black Catholic Ministries, Lorna DesRoses, and her committee for putting this together. It was good to see so many young people there this year from Boston College High School and St. Katharine’s as well as other parishes. 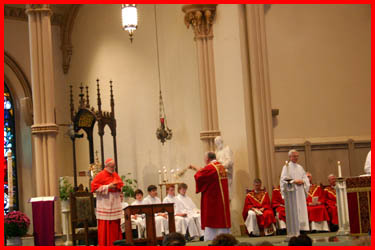 On Sunday, I presided at the annual Red Mass at the Cathedral of St. Paul in Worchester. 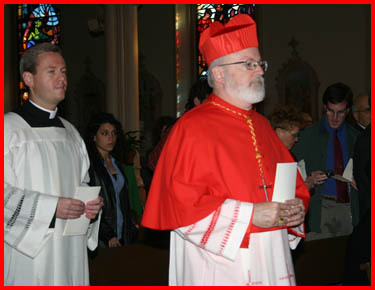 Bishop Robert McManus celebrated the Mass, and Msgr. 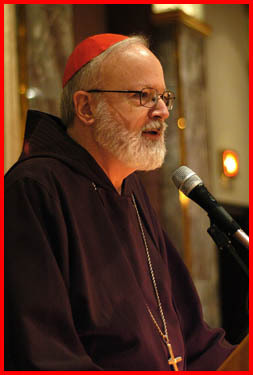 Stephen Pedone was the homilist. The Mass was very well-attended. 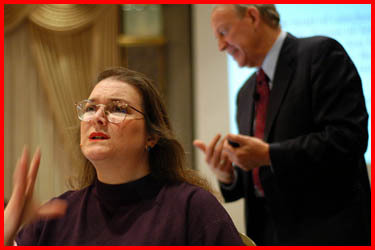 There were many lawyers, judges, district attorneys and others connected with the justice system that participated. The St. Thomas More Society awarded their various honors to different people connected to the legal profession in the Diocese of Worchester, including Judge Carol A. Erskine, Aldo B. Consigli Jr., Erwin H. Miller, Candace M. Jaegle and Kimberly Fischer. 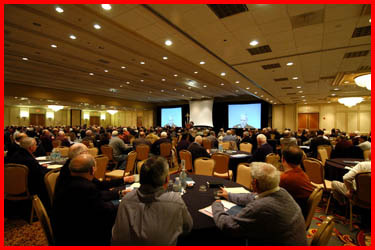 There was a luncheon afterwards, and I was the speaker. I talked about the role of religion in society and the danger of forgetting God. 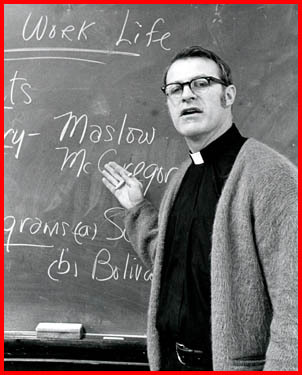 Our life as Catholics is to live and to build up a civilization of love that the Holy Father has spoken to us about. There are many challenges in our secularistic society. 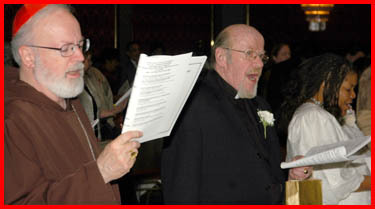 That day I also attended the wake for Father Ed Boyle in the chapel at Campion Hall, the Jesuit retirement home in Weston. Many hundreds of people went there to pay their respects. It was a very moving experience to see how beloved Father Boyle was to so many people whose lives were touched by his ministry in working in the labor movement. The crowd extended from the coffin, through the church, down this very long hallway out to the street. It was incredible how many people went there. His funeral was the following day at St. Angela Parish. 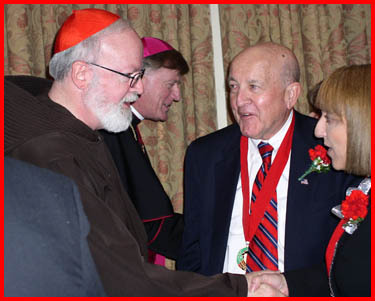 He had helped out for many years at St. Angela’s, so he asked to be buried there. 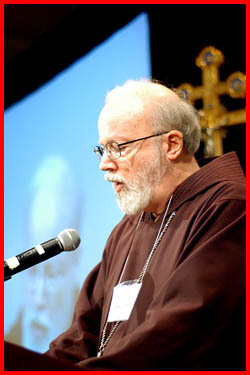 I had seen Father Boyle recently at Campion. He was dying, but he was still able to talk, and we had a nice visit. 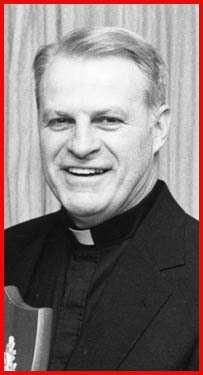 I will always cherish my memories of this outstanding priest and Jesuit. 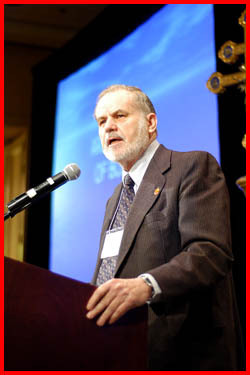 I also know that he has prepared a farewell statement that will be read at the Labor Guild Dinner on Nov. 30. Tuesday, we have a second day of recollection for the priests, meant as a follow-up to our Presbyteral Convocation in September. 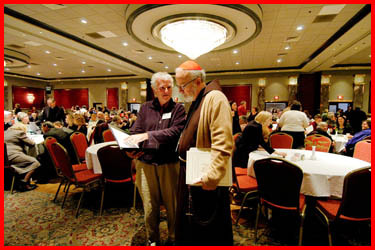 More than 400 priests registered for the event. There was a good turnout, which was very encouraging. It was a time to pray together as we are poised to begin our Bicentennial celebration on Dec. 2. Father Bob Connors, director of the anniversary celebration’s council, gave the priests an update on the events that are planned. The theme of this convocation was “Healing, Reconciliation, Forgiveness.” I delivered the opening prayer, which was followed by the first talk by Brother Loughlan Sofield. Brother Loughlan was very engaging. 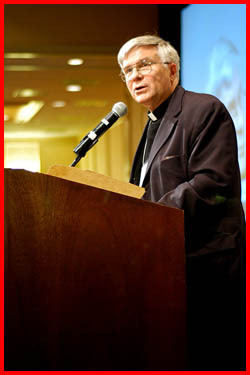 Everyone enjoyed his insightful comments about the challenges priests face as well as his sense of humor. 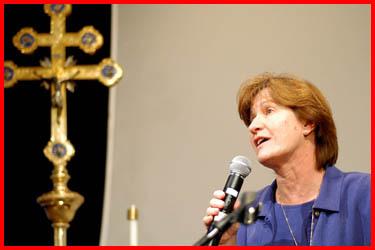 The two other speakers were Father Bruce Nieli and Sister Terry Rickard from the Renew program. Our own Renew program, Arise: Together in Christ, will be the centerpiece of our 200th anniversary celebration. 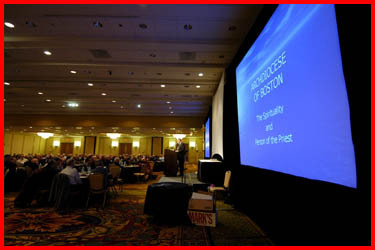 The priests also had a chance to view the wonderful video “Fishers of Men,” that was produced by the bishop’s conference as a tool for vocations. The day afforded many opportunities for prayer and fraternity, which are both so important for our priests. We also had opportunities for confession and a reconciliation service during the day, which I preached at. I spoke to the priests about the importance of forgiveness, which no serious renewal can be without. Our Father already has forgiven us so much, and it is through His mercy that we learn to be merciful. As priests we are called to be the healing voice of the Lord through the Sacrament of Reconciliation. We must love confession and avail ourselves of its graces by confessing regularly ourselves. Finally for my photo of the week, this photo with the rancho foclorico. It was wonderful surprise to meet them in the seminary! Until next week, I hope that you all have a wonderful holiday with your families. May God bless you richly this Thanksgiving and grant you and your loved ones safe travel.